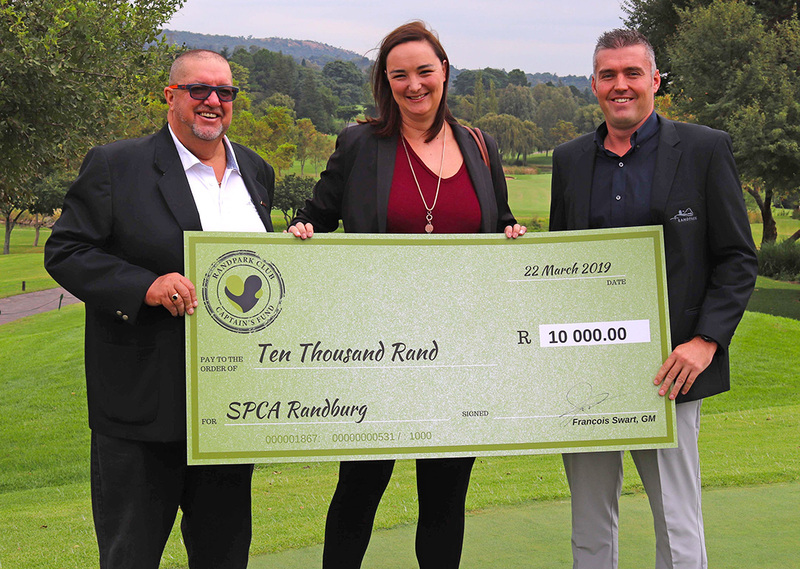 Randpark Club continued its history of donating to needy charities through its Captain’s Charity Fund on 22 March 2019. The Captain’s Charity Fund is run by the members who generously contribute through raffle draws, monetary donations and golfing fines. These ‘fines’ were light heartedly imposed on team members for golfing infractions that happened during games throughout the year. In addition to generating funds, they also generated a lot of laughter happily for a great cause. 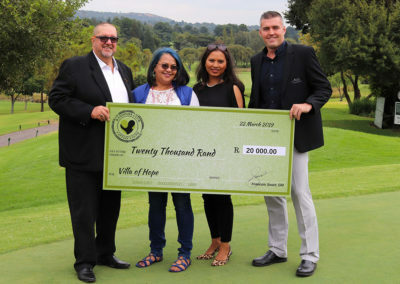 Donations were given to Touch of Care, Villa of Hope, Operation Smile and the Randburg SPCA. 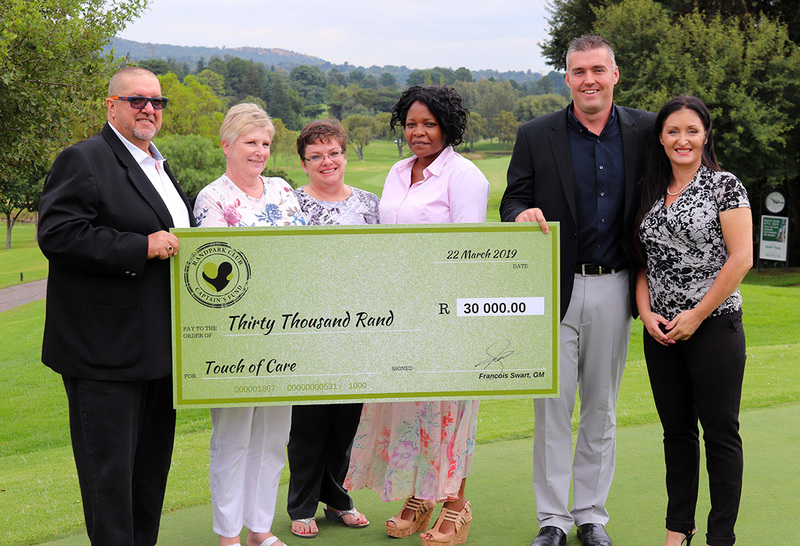 Touch of Care – Randpark Golf Club hosted a Captains Charity Golf Day and selected one of FNB’s ECD’s as a beneficiary i.e. Touch of Care (TOC). Touch of Care offers home based health care to approximately 300 homes in the south of Johannesburg as well as taking care of children orphaned by HIV/Aids. Anita Jacobs from Touch of Care wishes to thank FNB and Randpark Golf Club for their generous fund raiser. “We appreciate your support to Touch of Care and it’s especially gratifying to know that you share our commitment to helping children in need. Supporters like you are the reason we are able to help children overcome the tragedies and difficulties they’ve experienced,” says Anita Jacobs. ECD refers to Early Childhood Development for children aged 0 – 6 years and FNB is focused on ECD as a commitment to build our nation. The main objective is to help upskill teachers and improve the educational aids and tools they use, to increase child stimulation levels. FNB’s aim is to provide the young children of South Africa with the best chance of success as they prepare to enter the formal education system. FNB employees are encouraged to give of their time and money to support community development projects of their choice, with the aim of helping communities to help themselves. Employees are encouraged to share their knowledge and skills, and to support income generation projects such as the implementation of veggie – tunnels and bread ovens. Villa of Hope – The Villa of Hope is a Child and Youth Care Center. The organization focuses on the provision of superior care to those children who have been orphaned or require alternative care due to abuse, neglect, abandonment and children that are affected or infected by HIV and AIDS or other ill circumstances. They provide residency for children who have been placed by organizations such as Johannesburg Child Welfare, Child line, CPU, SAPS and DSD. Whilst in our care, the health, safety, emotional, psychological, educational, spiritual and physical needs of our children are catered for in a loving environment. The Villa of Hope has 25 houses which includes administration/reception offices, early childhood development center, learning center, library and social services office. These require on-going maintenance and up keep. Through the generous support of individuals, families and various companies and organizations, the Villa has helped hundreds of families and vulnerable children and aspires to help many more in the future. Operation Smile – Operation Smile was founded in 1982 by Dr. William (Bill) P. Magee, Jr., a plastic surgeon, and his wife, Kathleen (Kathy), a nurse and clinical social worker. Bill and Kathy had travelled to the Philippines with a group of medical volunteers to repair children’s cleft lips and cleft palates and found an overwhelming response to their work. Today, Operation Smile is an international charity with a global network of credentialed medical volunteers from over 80 countries who are dedicated to helping improve the health and lives of children from over 60 countries. 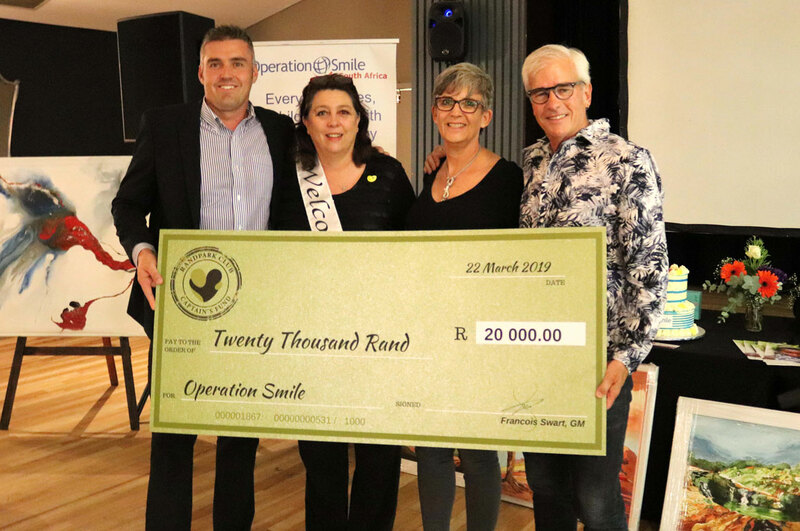 Operation Smile has provided, to date, over 220 000 free surgical procedures for children and young adults born with cleft lip, cleft palate and other facial deformities. To build long-term sufficiency in resource poor environments, the organisation trains doctors and local medical professionals in partner countries so they’re empowered to treat their local communities and, also donate medical equipment and supplies and provide year-round medical treatments through our worldwide centres. In 2002, Operation Smile UK gained registered charitable status and has since raised tens of millions of pounds and has sent countless volunteers on medical programs in developing countries throughout the world. On 29th March, Randpark Club will be hosting a Charity Gala Dinner in aid of operation Smile SA “Changing lives one smile at a time” with guest speaker David Grier. David is a trustee and ambassador for the ‘Cipla Miles for Smiles Foundation’, raising funds through adventure for Operation Smile, South Africa, who perform corrective surgery on children born with cleft lips and palates. The Randburg SPCA – Based in Northriding, the Randburg SPCA focuses on a number of initiatives centered around animal care, such as, pet adoption (All animals are spayed or neutered before they are allowed to go to their new homes which are screened to ensure that our animals find permanent homes), cruelty prevention and investigations into animal cruelty, School education programs, taking in stray and unwanted pets or farm animals, pro-active investigations of establishments such as pet shops, livestock sales, circuses etc., reactive investigations of cruelty complaints, lost and found pets, animal rescue (wild and domestic animals and birds), education outreach, and a large and small animal pound. The Randburg SPCA’s primary and motivating concern is the prevention of cruelty to all living creatures.